Gruyere cheese is one of my favorite cheeses so when I came across this recipe on internet I had to make it. I added broccoli to the mix, it was for cauliflower only so I adjusted the quantities in the sauce. Recipe courtesy of Eatingwell.com. 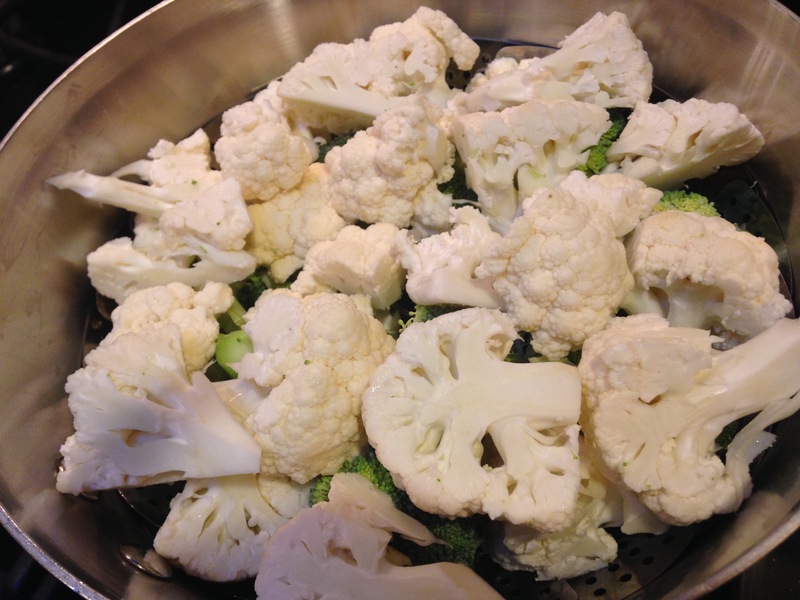 Steam or boil the vegetables till tender 8 to 10 minutes. Meanwhile whisk the flour with 2 tablespoons of milk until smooth. Heat the remaining milk in a saucepan over medium heat until steaming. Add the flour mixture. cook whisking till the sauce bubbles and thickens, 2 to 3 minutes. Off heat add the cheese, chives or parsley, garlic and salt and pepper. Spoon over the cauliflower and serve.